...condo so viewing can be done at night too. *Other owners who interested to sell/rent their properties, please be in touch with me to discuss. Set in a serene and lush golf resort in IOI Resort, Putrajaya, this condo unit is ideal for home buy. ...unit is located next to IOI City. Very exclusive condo as facing the golf view. Ideal for family or couple who wanna stay at Exclusive condo. Ceria Condominiums @ CyberJaya (Condominium) in Cyber/Putrajaya, Malaysia. Check out NextProperty. My for more information. LakeFront Residence (Condominium) in Cyber/Putrajaya, Malaysia. 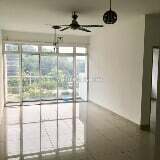 Check out NextProperty. My for more information.